When last we spoke of Jackie’s house, the big concrete pour was almost completed with the big crew working to get the entire floor poured in one day. That went well and the crew started making the forms for the concrete posts to support the walls and roof. 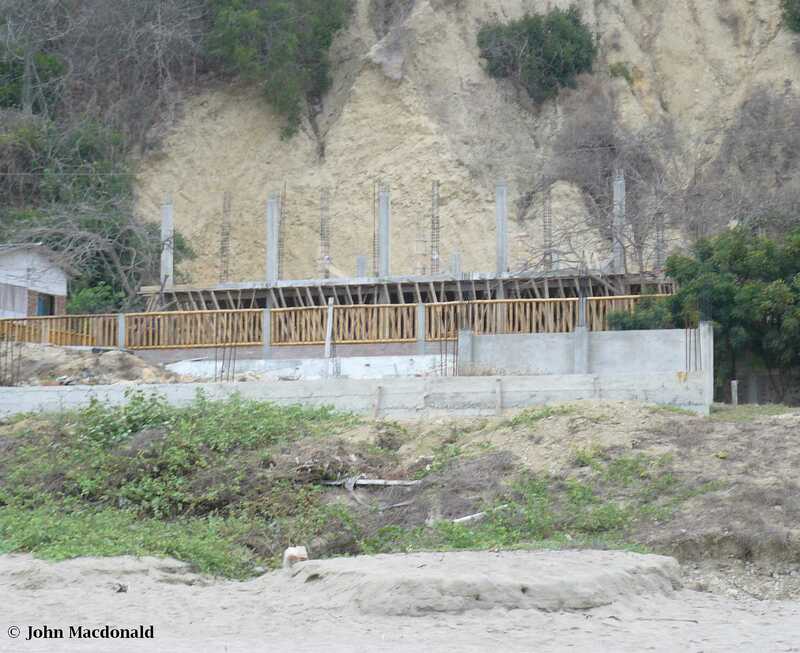 About three weeks after the floor was poured I took this picture from the beach showing the floor and several of the concrete posts with the re-bar ready to form up the other posts.